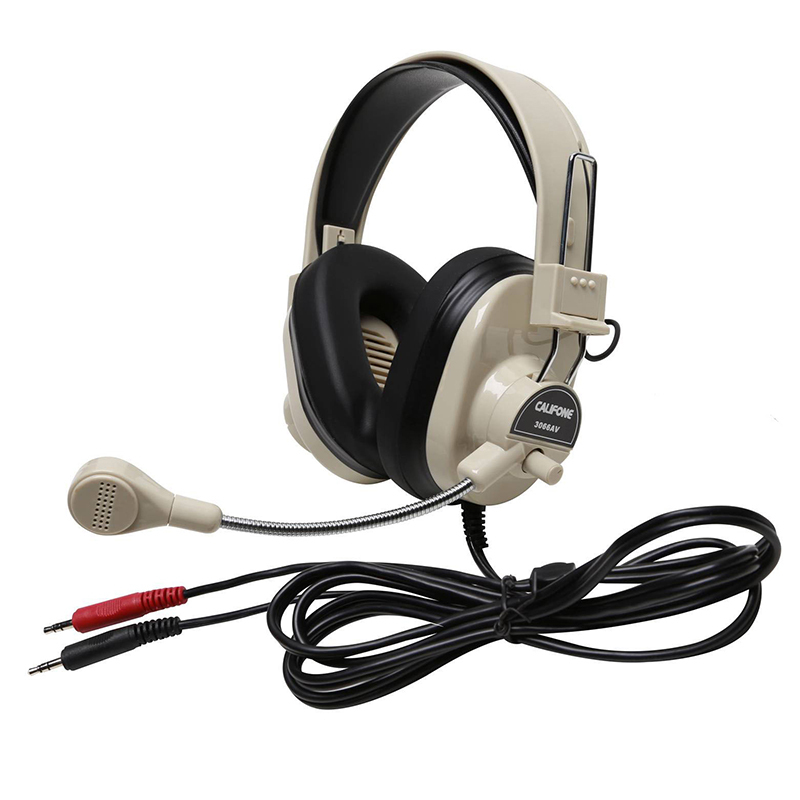 Our most rugged headset, the 3066 Deluxe Multimedia Stereo headset is designed for small group or independent learning in computer labs, online or in classrooms and libraries. The 3066 offers ambient noise-reducing, over-ear earcups to help students stay more on task while minimizing the need to increase the volume for hearing protection. Its noise-reducing microphone is designed to pick up the student's voice - not those around them, while the noise-reducing earcups help to minimize external distractions and keep students on task. The universal 3.5mm plugs makes the 3066AV a solid choice for connecting to older desktop and laptop computers in classrooms, computer labs, and testing environments. 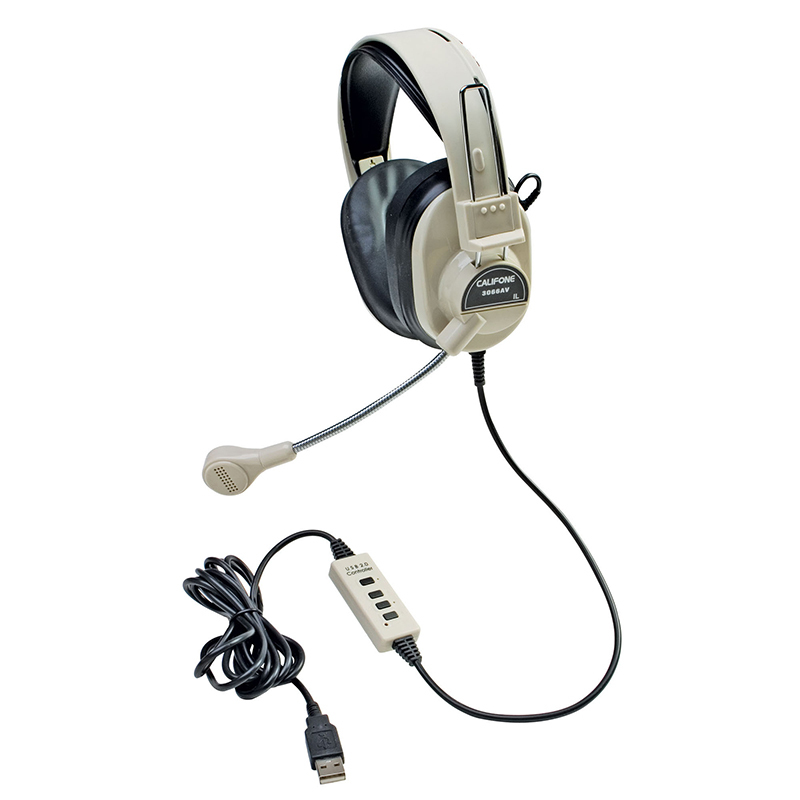 The Deluxe Multimedia Stereo Headset W/boom Microphone W/ Dual 3.5mm Plug can be found in our Headphones product category within the Audio/visual. Designed for language learning in todays classrooms. Its noise reducing earcups and microphone help filter out external distractions to keep students on task. Its also ideal for VoIP applications, gaming, and for use in computer labs and other multimedia applications. 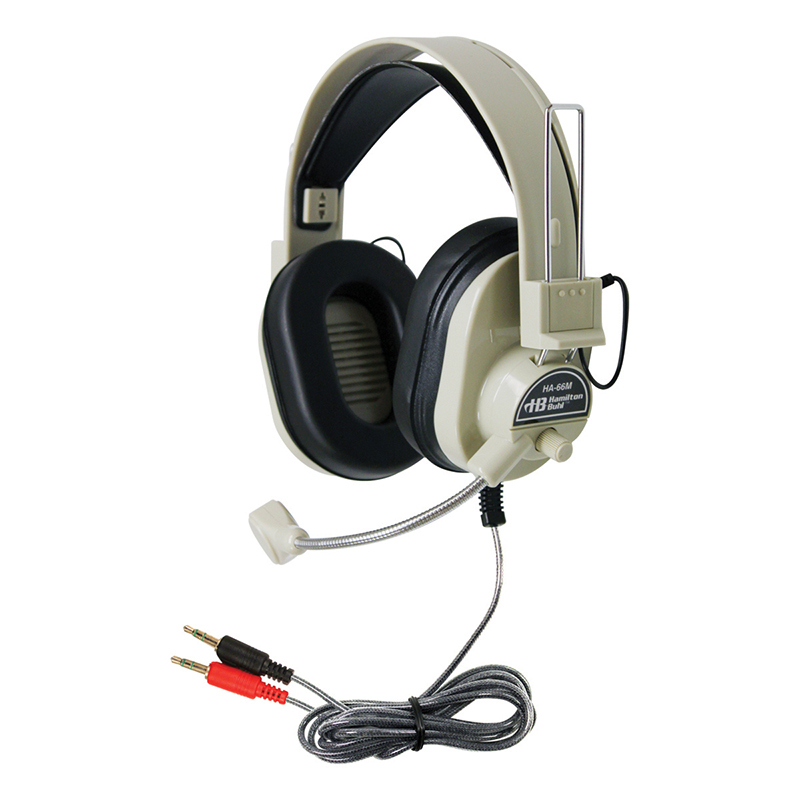 Input Connection 3.5mm, black jacketed, nickel plated stereo, Black leatherette Earpad, Cord 7 straight, attached volume control, permanently attached for classroom safety. Omnidirectional Electret condenser Microphone, Sensitivity -38dB, standard, min -35dB, max -41dB, Frequency Range 10-10,000 Hz, Impedance 1,500 Ohms +- 15%, Operating Voltage 2V up to a maximum 10V, 3.5mm plug, red jacketed, nickel plated.